Do we have a backup thermometer? A quick search around the bathroom revealed that we did. 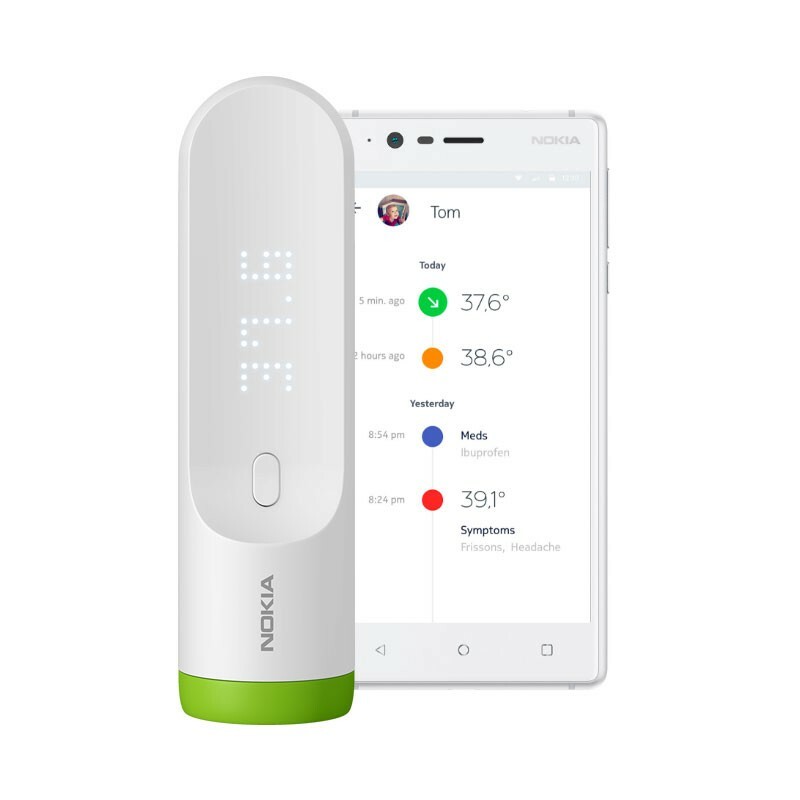 A gift we’d received months prior — The Nokia Smart Thermometer. I’m all for objects being “smart,” but only when practical. I held my sick daughter as she wiggled and kicked. “ Take the temperature!” I urged my husband, willing him to hurry up. He took the thermometer out of the box, so we could finally double check her temperature. Great, right? — Wrong. Download a companion app — Unnecessary to make us do this before we could use the product. I’m tired of how many “one-off” apps accumulate on my phone, feeding data into places I’m not aware of. Register for this app — Sheer annoyance at having to “sign up” for another service. Do they really need my email so I can take my daughters’ temperature? Can’t I just take her temperature and then register? Why do I need to register at all? All those steps just to take a temperature? Something mankind has been doing successfully without smartphones for 200 years. The thermometer does offer a slick, ergonomic design with a dot matrix style display of the temperature. It’s easy to use with a swipe across the forehead, but that doesn’t eliminate the frustration of needing to register before use. In fact, it makes me question even more — why can’t I just use the product out of the box? They’d provide a bypass function.This would work similarly to the “checkout as guest” feature in online shopping. This decision was made on purpose, in favor of Nokia collecting your personal information up front. Your information is their golden ticket. Think of it this way: if they’d bypassed gathering your details up front would you return later to provide it? Nokia knows you won’t. I probably wouldn’t. One primary use case for this thermometer is: A parent wants to take their child’s temperature, and they want it to be fast. Often times this involves a sick & unhappy child. This could take place in the middle of the night (where often sleep-deprived parents are too exhausted to go through a sign-up process). This decision was consciously overlooked when Nokia designed their onboarding experience. Faster signups + earlier access to users data = better trend forecasting and higher value on the data brokerage market. Business needs and objective usually take priority over the user needs. They are supposed to go hand in hand, but it doesn’t often work that way. I KNOW there are User Experience Designers inside large companies that are “fighting the good fight.” I know because I am one of them. As a consumer, I urge you not to be “ok” with subpar User Experiences. Demand excellence in the products you use. Give feedback, speak up and don’t settle for complex workflows and lipstick on pigs. As a UX Designer, I promise to keep evangelizing the importance of good product design. I aim to prove that business objectives can be achieved while still keeping the user top of mind. This article originally appeared on UX Planet.